It has been a great year for Sondheim fans and that looks set to continue with the Victorian premiere of Sondheim on Sondheim at the Melbourne Recital Centre in May 2015. Following Victoria Opera’s Sondheim repertoire (Sunday in the Park with George, Into the Woods), the recent release of Rob Marshall’s movie Into the Woods, and Manilla Street Productions rarely performed Pacific Overtures at Theatreworks in 2014 (8 Green Room Award nominations including Best Musical), Manilla Street Productions is back with another treat for Sondheim and musical theatre fans. Sondheim on Sondheim is a musical revue of the composer/lyricist’s life and artistic process. Songs are interwoven with exclusive in depth video footage of Sondheim, providing audiences with an inside look at the composer’s life including his childhood, his relationship with mentor Oscar Hammerstein and stories of personal demons and professional triumphs. 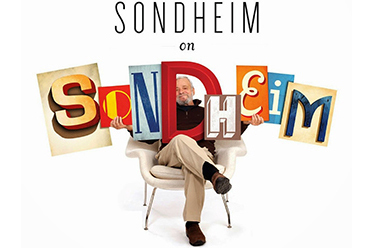 Sondheim on Sondheim features new arrangements of over two dozen Sondheim tunes, ranging from the beloved to the obscure – a few songs even the most die-hard Sondheim aficionados won’t know. Conceived [and directed on Broadway] by James Lapine, the production opened in 2010 with a starry line up including Barbara Cook, Vanessa Williams and Tom Wopat. The version by Manilla Street Productions is directed by Chris Parker and features an impressive eight-actor ensemble including Blake Bowden, Anton Berezin, Michael Cormick, Martin Crewes, Lucy Maunder and Lisa-Marie Parker under the musical direction of Kellie Dickerson. Sondheim on Sondheim builds on the Manilla Street Productions reputation for presenting Australia’s leading theatrical talent in new or little performed works. Manilla Street Productions last presented Sondheim’s Pacific Overtures (co-production with Watch This) and Willy Russell’s acclaimed musical Blood Brothers in 2014. For more information, visit: www.manillastproductions.co.uk for details.